If you’ve been following cellular IoT news you must have read plenty of announced about NB-IoT and LTE Cat M1 (eMTC) hardware platforms bring LTE connectivity at lower power and somewhat lower cost than existing 3GPP networks. That’s all good, and you may have decided to go ahead with a commercial project, except none of the Telco are providing LTE IoT connectivity in your area just yet, or if it does, you may also want to test your device in bands not allowed/supported in your country (at a permitted power level). 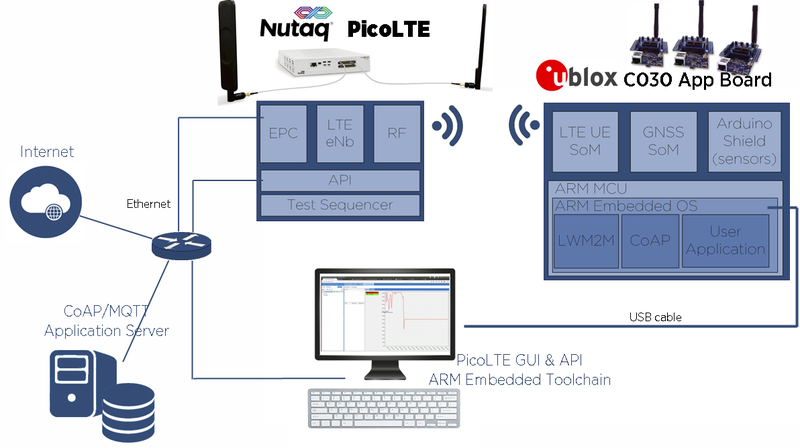 If that’s the case, Nutaq PicoLTE IoT Kit should help as an LTE NarrowBand & Cat M test measurement platform for IoT that can test NB-IoT and Cat-M1 devices in all frequency bands. The platform can perform various tests such as sensors data aggregation, protocol stack functional & performance tests, throughput & latency tests, handover testing, power saving modes testing & optimization, and radio link performance test. The kit is comprised of PicoLTE Network-in-a-box, Linux binaries, and a 2×2 LTE 5 dBi Omni Antenna Kit.For evaluation purpose, u-blox C030 NB-IoT starter kit is recommend as an end-point. The kit appears to be available now, at an undisclosed price with the product page including a button to “request pricing”. 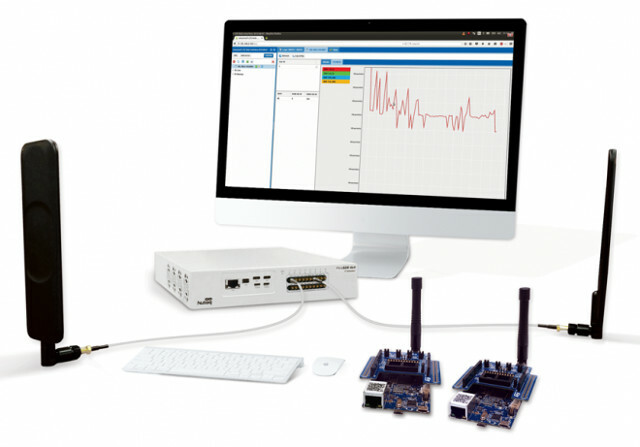 However, the company also shared the chart above showing various option for testing LTE IoT connectivity from lower cost SDR solutions (like LimeNET? ), to more expensive traditional test equipment costing over $100,000. 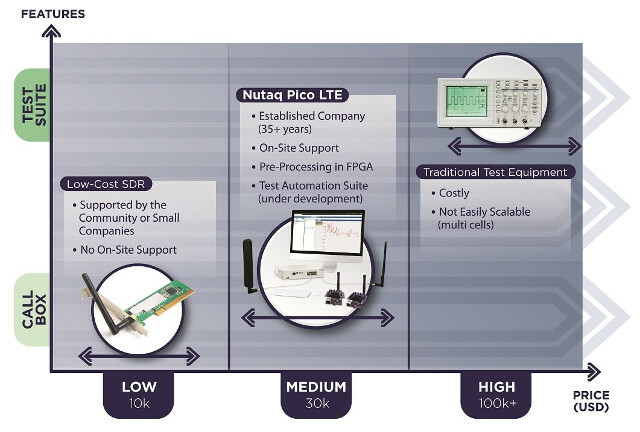 Nutaq PICO LTE kit should be priced in the middle at around $30,000.